We agree with the best minds in mental health that treating Trauma is an imperative piece of treating substance use disorders and related mental health disorders. Click (HERE) to read our most recent peer reviewed article that outlines the MET(T)A Protocol’s trauma-focused approach to treat addiction and related trauma by combining Buddhist Mindfulness techniques and the 8-phase EMDR protocol for a robust, primary treatment rubric that covers the full continuum of care. We are thrilled to see the MET(T)A Protocol published and shared with the world. We need to improve the way we treat those who are suffering by providing trauma-focused treatment environments, tangible treatment protocols, and mindful lifestyle supports to innovate and strengthen therapeutic interventions. We had the distinct pleasure this past week to lead intensive MET(T)A Protocol trainings with the staff at Roots Through Recovery, an outpatient program in Long Beach, CA that has traditionally utilized mind, body, and spirit-centered approaches to support recovery both from substance abuse and primary mental health issues. It was fantastic to sit with clinicians, counselors and administrative staff alike and talk about the importance of trauma-focused programming, clinic culture, and utilizing EMDR and Mindfulness for healing and long term recovery. In partnership with TableMesa, Jamie Marich and I are offering an Online Course where all of you who read EMDR Therapy and Mindfulness for Trauma-Focused Care can read the book and a study guide and take a test for 12 EMDRIA Credits and 12 APA Home Study CEs. This is a great opportunity for EMDR therapists going for certification to get their EMDRIA credits for the whole year taken care of, and APA CEs are nationally recognized across a variety of state licensures. At $65, these are valuable CEs at a good price. Jamie and I hope that many of you will choose to read the book, take this course, and apply the lessons of the book in your mindful EMDR therapy practice... and for those of you reading this book before becoming trained, we hope it provides that inspiration and guidance to lead you to become an EMDR therapist. Click through for more information about the online course. I had the opportunity to write about the work of EMDR and Mindfulness for Keys To Recovery Newspaper, a free newspaper that has a good circulation throughout the recovery community and at conferences. I am enjoying both reporting on what is happening at Refuge Recovery Centers and writing through what I see as happening next. Now that the book EMDR Therapy and Mindfulness for Trauma Focused Care is out, I feel more able to give context to the work we are doing to try to redefine therapy and redefine treatment. Jamie and I were texting the other night, and we were both feeling grateful and elated. At one point she wrote, "WE WROTE A BOOK!" and I laughed at the child-like excitement we share about the launch of this particular volume. Both of us are so passionate about everything in the title and everything in these pages. The whole process of deciding to write it, outlining it together at my home office in LA, writing diligently before knowing if we had a publisher, signing with Springer, receiving the wonderful endorsements, finishing the book through all its edits... all of it seemed organic and clear. And now here we are, able to share our passion with people. The writing of EMDR Therapy and Mindfulness for Trauma Focused Care coincided with the growth and further implementation of the MET(T)A Method and MET(T)A Protocol at Refuge Recovery Centers. Jamie and I feel like we are on the cusp of a new phase of treatment, a new era of increased ability to treat trauma... in our private practice offices, in our agencies, in our communities. Dharma practice changed my life almost 30 years ago. Before sitting down to write this post (actually, I wrote morning pages in the tradition of The Artist's Way and some in my daily planner before these words), I sat meditation for 30 minutes. It is still dark outside this morning. In the quiet, I can sense the pulse of the Four Noble Truths and the Eightfold Path, I can feel the energy building within me in preparation for a day of EMDR therapy and consultation, mindfully delivered in the interest of easing some suffering. This integration of Buddhist practice and EMDR therapy feels just like breathing to me, and my hope is that this level of ease and flow will translate and resonate for those who read our book. My colleague and co-author Jamie Marich does a monthly free teleconference where she interviews those who might be helpful to others in the field. Most recently it was Jamie and I talking about our new book EMDR Therapy and Mindfulness for Trauma Focused Care. I always look forward to this and other opportunities to tag team with Jamie on the project of transforming suffering for those that we can with mindfulness and EMDR therapy, I address the Buddhist aspects of our work, and we both get an opportunity to practice during the interview... the "elevator music glitch" that happens about halfway through the recording. It was a problem with the interface and we had no control over it. The playback is only 55 minutes. In another glitch they tacked on another hour plus of elevator music! The debut of the day long version of the MET(T)A Method workshop was a success and gives me a lot of hope for the future of agency treatment... over 40 EMDR trained clinicians came to hear about what we are doing at Refuge Recovery Centers with EMDR therapy as the primary clinical practice and Buddhist mindfulness as the theoretical orientation and driving force of treatment. 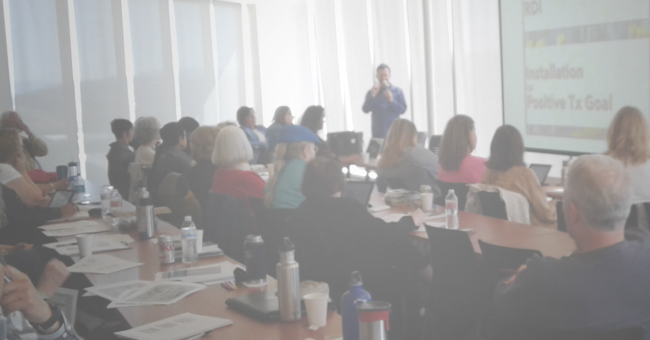 Rajani and Kimbo with the SF Bay Area EMDR Regional Network did an amazing job of finding their new location at the College of San Mateo which was a room with a view, and setting up and putting out there to the community the possible value of this workshop. There is still much more work to be done on the MET(T)A Method including a video series of case studies of both clinicians and clients, and a fleshing out of the experiential aspects of the workshop, but the feedback was primarily positive and I believe there is a thirst for more of this kind of material. As the addictions world struggles to stay on an ethical path, and as the trauma world seeks to find ways to fold trauma treatment successfully into addiction treatment, it seems that this method grounded in Mindfulness and EMDR therapy provides an ethical compass and a path to liberation that may provide an end or transformation of suffering to many. As we get closer to the release of the book EMDR Therapy and Mindfulness for Trauma Focused Care, the resources for therapists and other professionals is growing, and the desire for integrative treatment that brings long term recovery is possibly more available. I had the opportunity to present the MET(T)A Method to a group of over 80 therapists who work for Orange County. I was presenting at the invitation of the Therapy and Spirituality Committee that allows the County to invite a variety of speakers on subjects related to spiritual interventions. I was told that I was the first Buddhist, as well as the first mindfulness based presentation of the series. My observation continues to be that there is quite the hunger, quite the thirst for this information. I mean this to include Buddhist based interventions like Refuge Recovery and the MET(T)A Method, and an integration with EMDR therapy with a focus on trauma resolution. My hope is that not only will people find their way to utilizing these modalities in their office, but also through MET(T)A will find ways to reimagine treatment centers and improve the delivery of services. Some of the comments after the training reaffirmed my deep desire to find a way to bring MET(T)A Method to underserved communities. It may be that this type of structured approach could end up providing the best trauma treatment at a reduced cost and with an added benefit of having a long range plan for aftercare that is not just trauma informed, but trauma resolution focused. More and more theoreticians and practitioners are calling for this, and so why wait another minute? I am looking forward to more opportunities to be of any assistance I can be to the therapists of Orange County, and my hope is to meet them again sooner than later. My goal was to write this post before my trip to Canada, so I am going to say that I made my deadline as I am still in US territory as I fly toward Calgary... there has been more progress in the use of the MET(T)A Method at Refuge Recovery Centers, and the list of those clinicians and treatment centers who are interested in the model continues to grow. The initial response to my new book (coauthored by Jamie Marich) has made it more clear that this is the right direction to take EMDR therapy on its own, but also emboldens our efforts at the Center to provide an improved addiction treatment experience to clients, as well as to staff. When I present on Sunday, I will be highlighting some of the case examples from Refuge, and not just case examples of clients but also examples of the effect on therapists who are trained in this therapy and who work on a team using this method. So far I have not had any pushback or lost any clinicians due to our using this method of treatment. In fact, as we have accessed so far trainees from Antioch and USC, with other colleges to follow including Pepperdine and Pacific Oaks, potential trainees are seeking us out because they hear what we are doing. Some are aware only of the Buddhist mindfulness aspect, others only of the EMDR therapy aspect, and others of the whole of the method. New cover letters and resumes of those who want to train with us come in every week. Those trainees who have signed on and worked with us have either learned and implemented new skills or deepened already developed skill sets. For instance, one of our therapists was a very experienced yoga teacher who had some mindfulness background related to yoga practice, and now has a dedicated Buddhist mindfulness practice and an ability to share that with clients. She also has become a very effective EMDR therapist, drawing on trauma education in school, and then ongoing training, consultation and supervision at Refuge. And then there is the team aspect. The clinical team works very closely together using the language of EMDR therapy and trauma treatment as it relates to addictions. We come from the premise that all clients are receiving Phases One and Two of EMDR for certain, and we talk about how to support the client's continued trauma recovery journey. So far what we have noticed as a team is that this common language and set of goals makes us much more effective. One signpost of possible effectiveness is that a vast majority of our clients ask to stay longer in treatment than they originally signed on for. Therefore, they might have increased time in a contained and supportive environment to get to and through some of their trauma work while still in treatment. It has been about a year now since Noah Levine and Refuge Recovery Centers gave me the go ahead to begin implementing my vision for a new approach to addictions treatment, now known as the MET(T)A Method. My thought was that with our having already established Buddhist Mindfulness as the base and foundation of the program, that integrating EMDR Therapy as the front line clinical intervention would be a natural fit. At that time I also started working on my upcoming co-authored book with Dr. Jamie Marich on EMDR and Mindfulness for Trauma Focused Care, within which are many of the principles, theoretical underpinnings and practical activities embedded in the MET(T)A Method. Finally, through both meditative consideration and practice in the field, I noticed that a significant aspect of the method should be that we look at the work of the agency as a whole using the 8 Phase Protocol and Adaptive Information Processing Model (AIP) of EMDR therapy as the way to vision, frame, evaluate, plan and deliver treatment. I had the opportunity to present these ideas and some of what has been gleaned from our experience at the 2016 EMDRIA Conference in Minneapolis. Having had the opportunity to present again at the 2017 Evolution of Addiction Conference, and having been asked to do the same at the 2017 EMDR Canada Conference in Banff this April, I now have the opportunity to provide some updates as the model and method have progressed. At Refuge Recovery Centers, we have since doubled the number of trained EMDR therapists on staff to 10 (11 if you include myself), and that includes our founder Noah Levine. Our staff psychiatrist had to postpone his Part 2 training for scheduling reasons, but the hope is that he will find his way into a Part 2 training and join the fully trained team. Our supervision meetings are now running fully through the prism of the 8 phase protocol and the AIP model, with cases being discussed from the point of view of where the client is in the 8 phases, what resourcing work is being done, whether they are ready for transition into reprocessing, and discharge planning that takes all of this information into account. Addiction specific protocols are discussed and utilized as necessary, as are interventions specific to the variety of comorbid Complex PTSD issues we see at the center, but our main focus is this focus on the possibility of trauma resolution as part of the treatment - regardless of whether it happens at the center, at a lower level of later care, or upon discharge. By acknowledging that not all clients can be prepared and stabilized to that level where reprocessing can begin, but that all clients can go through a profound building of resilience and become familiar with the language and practice of EMDR therapy, we become able to provide trauma focused care while being distinctly not cookie cutter. The mindfulness that the clients are practicing is that described by the historical Buddha delivered through the Refuge Recovery program, where the 4 Noble Truths and the 8 fold path are distilled into an addictions treatment modality. These practices are helping clients to move into the painful experience of their addictive minds and habits and build distress tolerance while also finding ways to cultivate positive states such as loving kindness and self compassion. Supported by Mindfulness Based Relapse Prevention, Trauma Informed Yoga, Attachment Theory Psychoeducation, and other trauma informed and trauma focused modalities, Buddhist psychology has proven to be a powerful central organizing methodology for addiction treatment. When paired with EMDR therapy, it seems we have a new level of possibility of ending the cycle of addiction. We do this by ending the cycle of untreated trauma while treating the addiction, at the speed that the client is able to tolerate. There is a great deal of hope being generated by this approach, and a lessening of suffering that is profound. "Mindfulness Informed EMDR Treatment: A Treatment Planning Template for Recovery Services" will be the topic of my workshop at the Evolution of Addiction Treatment Conference in Los Angeles at the LAX Sheraton. The conference runs from Thursday February 2 through Sunday February 4. My workshop is from 4-6pm on Saturday, and I hope to follow it up with a book signing for Clinical Dharma, and perhaps a dinner party with interested others hosted by Refuge Recovery Centers, but more will be revealed on this page and others... This workshop will bring to light the two most important projects of 2017 for me... the publishing on Springer Books of EMDR Therapy and Mindfulness for Trauma Focused Care, co-authored by myself and Dr. Jamie Marich. More specifically the workshop addresses the MET(T)A Method (Mindfulness and EMDR Treatment Template for Addictions), developed by me for Refuge Recovery Centers and now spreading beyond to other treatment centers. I am excited to have this platform at this particular conference to bring the message of trauma focused care a little further into the addictions world.